Literacy is the foundation of a child’s life. It affects their ability to understand basic instructions, succeed in school and do well in the workforce as an adult. When your child learns to read, they build confidence and they become excited about learning. Here are additional reasons why your child should learn to read. One of the best reasons to teach your child to read is because it keeps the brain sharp. As your child learns to read different types of books and understand them, they will get interested in various topics. This challenges their mind and their critical thinking skills grow stronger. It will also strengthen their vocabulary and analytical skills. Whether your child needs to know how to read menus in restaurants or how to read signs that can be found on sites such as adacentral.com, reading lays the foundation for other life skills. This is especially true for children with learning disabilities such as dyslexia. When you teach your child to read, they can boldly learn new tasks that enable them to be productive. 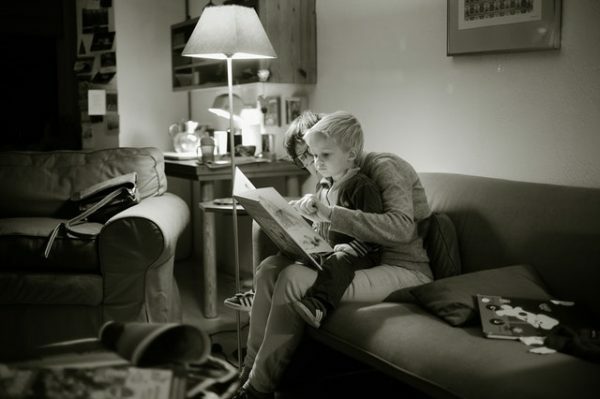 Helping your child read is beneficial in trying to find out if they have a learning disability. While teaching the alphabet phonetically, you might find that your child does not catch on quickly despite your efforts and patience. Or if you see that your child constantly struggles with gathering the overall message of certain passages in their books, then it could be time for professional help. Because you will not be with your child all of the time, they will need to recognize certain words and sentences that could keep them safe. For example, when you read books to them about traffic lights and other road signs, they will learn that there are rules that must be followed when going out. If they will learn your name and phone number, they can help officers locate you if they get lost. For the rest of the article, we will discuss how you can determine if your child has a learning disability. If your child struggles with pronunciation or writing out their letters, words or numbers, then they might need a specialist. Other early warning signs include inability to hold a pencil correctly, struggles to follow directions and difficulty with learning new concepts. Start by talking with your child’s teacher and if he/she notices some of the warning signs, you can meet with a pediatric psychologist. If your child is diagnosed with a learning disability, remind them of your love and support despite the situation. Seek out local support groups that have families who are going through the same thing as yourself. Research the Individuals with Disabilities Act. This law provides a variety of services that would benefit your child. It also helps to communicate with your child’s teacher regularly so that you will know the best ways to help them learn better. Nurture your child’s talents and get them involved in activities that will hone those talents. Teaching your child to read gives them amazing advantages for the rest of their life. There are numerous books, worksheets, online videos and songs that can assist you in teaching literacy. Your child might struggle initially but with patience and hard work, it’s possible for them to be a great reader and critical thinker.